Andreas | o what we ben! The Old English Andreas, composed by an anonymous Anglo-Saxon poet, tells the story of Saint Andrew’s journey to rescue Saint Matthew from a faraway city, where he has been imprisoned by the Mermedonians, a nation of cannibals and devil worshippers who feast on human blood and flesh. Like all of their victims – travellers from afar, we are told – Matthew has been blinded and drugged with a monstrous potion, and lies languishing in jail, awaiting his terrible fate. Andrew, called to this task by God, is at first reluctant to take up this mission, but puts out to sea with his companions in a boat piloted by Jesus, who is in disguise. In the course of their long and difficult voyage Andrew converses with Jesus, and tells him stories including the calming of the storm and one in which Jesus commanded a stone statue to come to life and proclaim his divinity. At the end of the sea voyage, Andrew is left sleeping outside the walls of Mermedonia. He awakens and marches within, coming to the prison where Matthew and other captives are held, whereupon its guards drop dead and the door opens at the touch of his hand. After leading Matthew and almost three hundred others to safety, Andrew returns to Mermedonia, and sits down at a meeting place to await discovery. Learning that their larder has been stripped bare, the Mermedonians are distraught, and hold a meeting at which they perform diabolic rites to determine their next victim. This turns out to be one of their elders, who offers up his own son in his place. As the Mermedonians prepare to slaughter the boy, divine intervention melts their weapons like wax, saving the young man’s life. Andrew is seized, beaten, and dragged through the city streets, tormented by the Mermedonians and by demons. He complains to God that he has undergone worse tortures than Jesus, and that promises made to protect him from violence have not been fulfilled. God tells him to look back at the trails of blood he has left throughout the city, which have been transformed into blossoming trees, and miraculously heals Andrew’s wounds. In his subterranean jail cell, Andrew commands one of its pillars to spring apart, releasing a torrent of water that swells up within the walls of the city, threatening to drown all of its inhabitants. Realising their predicament the Mermedonians undergo a hasty conversion, and Andrew allows the waters to subside into a burial mound, dragging fourteen of the most evil Mermedonians down into hell. Andrew offers comfort to the surviving Mermedonians, and resurrects those killed by the flood. The town becomes a place of celebration and prosperity, and a church is constructed on the site of Andrew’s jail. The Mermedonians are baptized, Andrew establishes a bishop to guide them, and Andrew stays on a little longer – at God’s behest – to ensure that these new converts do not return to their former idolatry. 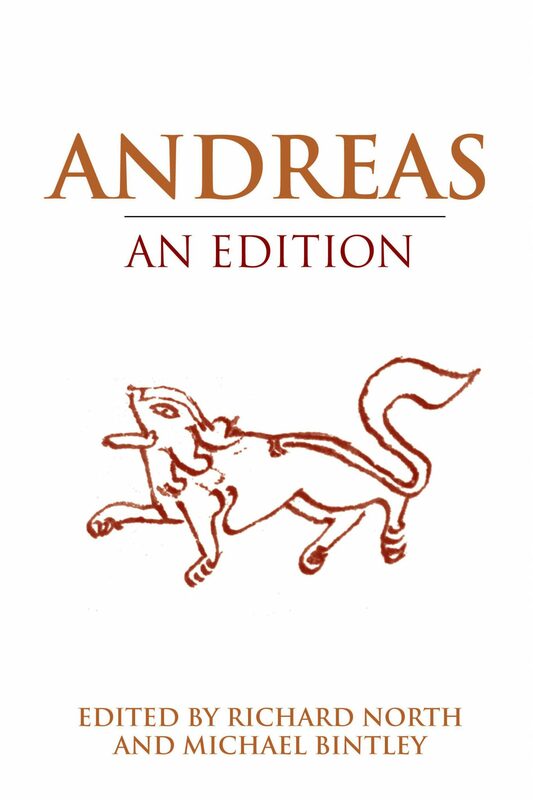 The Old English Andreas is preserved in a single manuscript known as the Vercelli Book, which was written and compiled in the latter half of the tenth century, possibly at St Augustine’s in Canterbury, and is now held in the Cathedral Library of Vercelli in northern Italy. 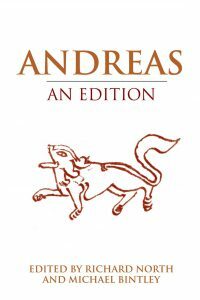 Andreas was written by an anonymous author, most likely at some point in the ninth or tenth century, and was probably based on a now-lost Latin version of a story that survives in other forms. The Andreas poet, like many Anglo-Saxon poets working with earlier narratives, developed the landscape and narrative of the poem in such a way as to suit the understanding of his audience. Part of the process of adaptation involved creating a landscape that would be tangible to a people living in early medieval England, and would enable them to draw connections with the world around them. For much of the Anglo-Saxon period Canterbury, like the vast majority of former Roman towns, was not densely occupied. Anglo-Saxon England was covered in the remains of Roman buildings and settlements, ranging from villas to forts, to places which had once been huge urban centres. In these places walls, gates, and other stone structures such as the Roman amphitheatre in Canterbury loomed large in the landscape, and equally large in Anglo-Saxon literature. In the poems The Ruin and The Wanderer, as in Andreas, these hulking stone ruins are described as the ‘work of giants’. But these ruins of the Roman Empire were profoundly important in other ways. From the very end of the sixth century onwards, and the arrival of Augustine of Canterbury’s mission in 597, former towns and forts like Canterbury were home to some of the earliest Christian churches. Later, during the Viking Age, many of these walled places were refortified (and later resettled) as part of the network of defensible places implemented by Alfred the Great (871-99). In walking this route through a city which once looked much like the city of Mermedonia in Andreas – stone-built, run down, and ripe for rebirth – we are encouraged to think about the way in which those who came before us have searched for meaning in the ruins of the past. Are they, as some Anglo-Saxon poets thought, places in which we discover the fragility of our civilisation, teetering on the precipice of a descent into violence and horror? Are they reminders that every empire must fall? Or are they places in which, to paraphrase the Anglo-Saxon historian Bede wrote (quoting Isaiah), where once dragons had dwelt, the green shoots of recovery might one day grow?